To celebrate the start of the International Festival of Authors (IFOA) in Toronto this week I’ll be reminiscing about my precious time spent with authors over the many years of working in and around publishing. Ken Kesey’s parting gift to me, a handmade scarf depicting Native American art, and signed: For Carla – thanx – Ken. This was the festival where we had to make everything about baseball or we wouldn’t get media coverage or author participation! That’s because the Toronto Blue Jays had made it to the World Series – in fact they won it on the last night of the festival – and Toronto was in the frenzied grip of baseball fever. Personal memories of Alice Munro, Nobel Laureate! In the green room of the North York Centre for the Performing Arts, I’m keeping Alice Munro company until it’s time for her to step on stage for her rare double-bill appearance with Robertson Davies. I’m not sure who’s minding Mr. Davies, but I definitely got the good gig! Of course, I want to gush to her about how Friend of My Youth (her 7th and my cherished title) changed my life, about how her writing is such an inspiration and how reading it makes me somehow feel less alone. But she wants to talk about something… anything else, as a way to calm her nerves. I’m happy to oblige her every need. In fact my job as the publicist for the Harbourfront Reading Series which is presenting the evening’s event, depends on seeing to her comfort. So, we talk about the challenges of keeping well-formed pleats in my skirt. When she’s sufficiently relaxed, I shyly ask her to sign my copy. That was in 1994. I declared my PR career could end then since I reached the ultimate goal of meeting and chatting with my favourite author. Fast forward to 1998, Ms. Munro is up for the coveted Giller Prize for The Love of a Good Woman. I’m production coordinating the live-from-the-cocktail party portion of the Giller Prize broadcast on Bravo! where I work as PR director. Of course, the producers and hosts want to talk to her, but knowing as I do about her shyness and reluctance to be in the public eye, I keep telling them she will likely not show up until the absolute last minute. Sure enough, she sneaks by all the cameras into her seat in the Four Seasons ballroom. Her acceptance speech is a very humble few words about how maybe now the short story will gain acceptance as a legitimate form of writing. I didn’t speak to her that night, just simply basked in her graceful, winning aura. Alice Munro accepts the George Woodcock Lifetime Achievement Award at Vancouver Public Library. Also pictured, Mayor Larry Campbell and VPL Board Chair Joan Anderson, 2005. In Vancouver in 2005, I get to talk to Alice Munro one more time after she accepts the George Woodcock Lifetime Achievement Award in the atrium of the beautiful Vancouver Public Library main branch. I line up to congratulate her and to my absolute astonishment, she remembers me from those many years ago in the green room at the North York arts centre. I wish I could tell you what we talked about that day at the library. I think I was overwhelmed knowing she could recall ever meeting me! She invited me into the small private gathering inside the library. What I remember most is her warmth, grace and the generous way she spoke to her fans and colleagues that day. I’m so pleased she’s won the Nobel. I can’t think of a more deserving or worthy Canadian writer whose first thought, when accepting this honour, was directed to those for whom she’s set the trail. Sadly, Alice Munro has announced her retirement from writing. But then again, she’s put so much of her singular talent out into the world, we can only be happy and grateful for it, and for her. Every year for the past six I’ve written a fall books preview for the Ottawa Citizen. It’s labour intensive in the sense that I have to research all the fall offerings from the many large and small publisher catalogues (most are online now, which helps) then write a succinct few sentences on a variety of books ranging from fiction to non-fiction, lifestyle to memoir, biography, food, sports and Young Adult/Kids books. Since I’m writing largely from marketing copy with so few books actually finished or even in the advance reading copy stage, it takes awhile to come up with something new, fresh and lively to say. The task takes me awhile to research and a longer while to write. Still, I love doing it because a) it introduces me to the new exciting list; b) I get boxes of books, the equivalent of Christmas morning to a book-lover; c) it’s become an annual assignment that I can count on. Doug Coupland, Worst. Person. Ever. Favourite. Author. Ever. / Most. Inspirational. Creative mind. Ever. Steve Paikin, Paikin and the Premiers: Personal Reflections on a Half Century of Ontario Leaders. I love YA novels and this one is a page turner. Also, you gotta love a TV writer turned novelist! Last week I renewed my delight and relief about my local Toronto Public Library branch (High Park) when I found the exact books I needed on the hottest few days of the year. I can’t always afford to buy books, and I certainly can’t afford the luxury of air conditioning, so to kill two birds with one stone was fantastic. I hadn’t been for almost a year and was surprised to see that there’s a new self-serve check out. Signing out my books, I had a strong impression of working at the checkout at Albion Library when I was 14. 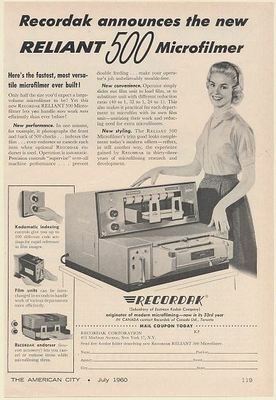 Then we used an electric machine called a “recordak” into which we fed a library card, the book index card and a due date card which we then fit into the pocket at the back of the book. No email reminders of due dates back then! 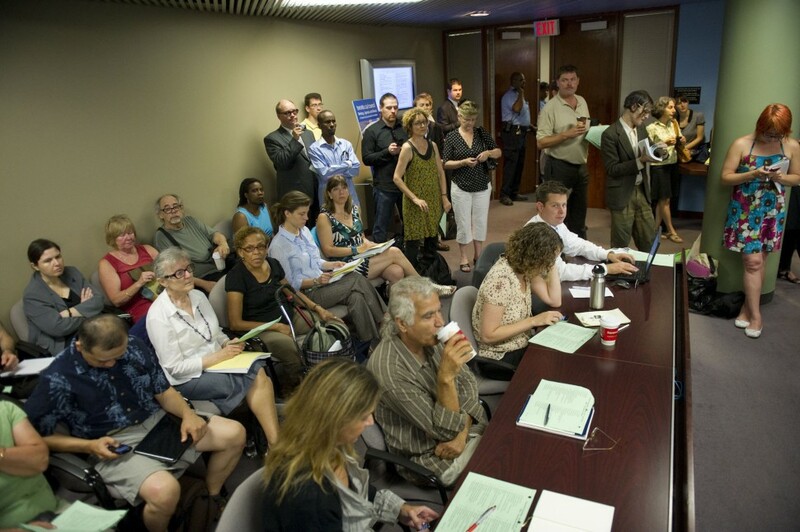 Being back at the library reminded me of my Toronto City Hall deputation in 2011, when Mayor Ford sat, reluctant and restless, listening to “tax payers” speak on proposed cuts to some of the most important and beloved city programs and organizations. Over 300 of us gathered at City Hall at 9 am on July 28th. So many enthusiastic defenders of public programs that Ford cut our original time of three minutes to only one and announced we’d be there through the night. This meant that many people left City Hall because they had to work or look after their kids, etc. (the media reported a 50% drop out rate – a result of the last minute decision to keep proceeding going through the night, and not because of lack of resolve or passion for the topic!) Those of us who stubbornly stayed through the night bonded in our conviction to see this mini-protest through. Finally, at around 4 am, I heard my name and I nervously sat down to address our Mayor and the committee. I’ve spoken in public and in front of cameras, but it’s not everyday you come face to face with the Mayor to tell him you think he’s wrong. Here is my original speech, which I had to edit for time, but I hope not for effect. I’m a writer, broadcaster and book critic. I’m not here as part of a “special interest group,” or because of any mythical library union pressure. 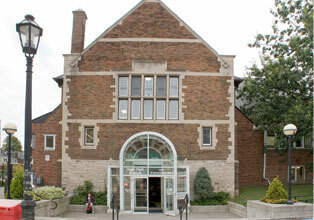 I’m here as a citizen of Toronto and as a regular user of the Toronto Public Library. My first-ever job was at Albion Library in Etobicoke where I worked as a “page,” shelving books on the main floor and if I was really lucky I got to organize old magazines in the basement stacks. It was dusty down there, but the reading rewards were worth it. I had shifts on the checkout and sometimes conducted a story-time in the kids section, reading picture books to the littlest library users. I was grateful for the opportunity to pass on to the kids a love of reading, and a fascination with the worlds inside books. I worked there from the age of 14 to 17 and what started out as earning my keep at the library around the corner in the confusing time after my parents broke up became the spark that lit my career in writing and around books. It’s the same for a lot of my writing colleagues, who sight trips to the library as kids as the very reason they became writers. It’s important to note that many of us are not just “artsy” writers, but make part or all of our living doing corporate writing for various Toronto businesses. From the first time I stepped into a bookmobile as a kid to my days working at the library, until this very day, the library is not only a vital resource but a place where I feel a necessary sense of community and belonging. There’s this idea that everyone has computers at home and that the almighty internet can give us every little piece of information we need. But it’s just not true. Many individuals and families don’t have the money and that’s where libraries save them. At the library everyone has access and therefore everyone is equal. Our most vulnerable citizens rely on libraries; low income individuals and families, new Canadians and seniors, people living by no fault of their own on the margins. A kid having trouble in school but whose parents cannot afford a tutor can get help with their homework at the library. Kids having trouble reading or struggling with a learning disability can sign up for help. Seniors can brush up on their computer skills; freelance or contract workers who struggle with precarious income can book time with a computer or use the free Wifi. I’ve interviewed new Canadians who have learned to read by checking out books in English, but can also happily borrow books in their own language among the many foreign language collections available. Seminars that help them learn about settling in Toronto and look for jobs are more than just helpful, they are vital to the success of immigrants in our city. People living on the margins or the many lonely people in our society find connection and community at the library. This is important for the overall health of the city. And isn’t it better to have a place for teens from priority neighborhoods to hang out instead of the street or local malls? The Toronto Library system is one of the most used in the world. Some branches more than others, but low circulation should not be a factor in potential library closings – esp. the ones in at-risk neighbourhoods. If one person uses the library, that’s reason enough to keep it open. Not everyone can always even afford the bus ride to get to a library out of their district. Libraries help kids stay in school, they help steer our newest citizens in the right direction. They give seniors and other people a place to go, a reason to join in. The benefit of libraries is long term and never-ending. They not only facilitate and foster learning. They introduce us to people, places and ideas we might not otherwise know about. They give people a vital sense of community and for some, a reason to get up in the morning and continue to strive to be contributing members of society. For all these reasons and more libraries need to remain open, accessible and free. It’s a day late, but in honour of St. Paddy’s Day, here’s a little something I’ve imported from my old website, herkind.com. It seems appropriate just now. I’ve read Angela’s Ashes a handful of times, listened to it twice on tape (read to me by the man himself), I’ve given this book to at least a dozen people as gifts for various occasions, or none at all, and seen the film (only once, generally I dislike books to film). 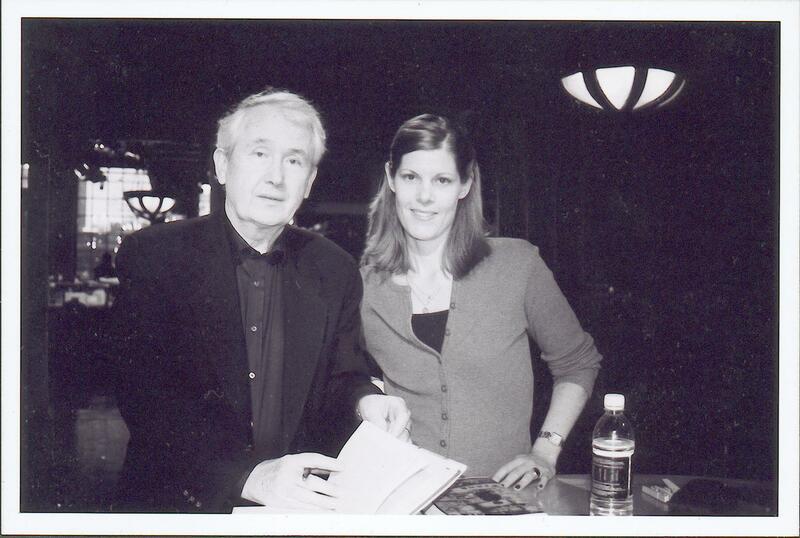 It’s safe to say I’ve done some serious time with Mr. McCourt. It’s hard to believe I resisted reading this book that makes you cry and then laugh through the tears. I guess I thought it was just too popular so not my kind of read. Hey, I’m a self professed book snob. Published in 1996, I think I finally got to it a couple years later, and of course, didn’t put it down til it was finished. While reading it I found a newspaper photo of McCourt and pinned it to my bulletin board at work. I simply couldn’t believe he had lived through his miserable childhood But live he did, and the literary world was richer for it. Of course, Angela’s Ashes is the ultimate father/son story, a topic which has always been on my radar. Now, I’ve met quite a few famous people. Just about anyone you can think of – writers, musicians, actors, celebrities. It doesn’t faze me usually. But when wee Frank McCourt came into Bravo! (where I worked at the time) for a news interview, I suddenly felt very shy. Though I was determined to get my book signed I didn’t know what I could possibly say to a man who had lived ten times the life, and hardship that I ever would. Feeling nervous, I waited in the wings while the interview wrapped up and then timidly approached. Lacking the courage to say very much I just asked for a signature. A co-worker who must have known what it would mean to me later, snapped our photo. I shook McCourt’s hand and walked away. Happy. When I got the photo I tucked it away for safe keeping. Then, when I moved to Vancouver, changing my career to full time writing and journalism, I framed the photo and put it the desk by my computer. Inspiration. I didn’t know if I’d ever meet him again, but his book, life and this meeting had made enough of an impression. And yet I did meet him again. A few years later, working as a producer on a TV show in Vancouver I had the opportunity to invite him to the show while he was promoting his book Teacher Man. Now, getting authors on this particular show wasn’t easy, it simply wasn’t the best venue for a considered interview. And, no one there expected to ever have the chance to score this particular author, but there I was one bright, sunny, early morning greeting Mr. McCourt again. This time I had to overcome my shyness to talk to him since I was producing his interview. We chatted in the green room about his teacher anecdotes, deciding which ones he would tell and discussing how the profession has changed since his early days. He was quite simply a lovely man. And though I didn’t by any means begin to know him, I miss him and his unwritten words. Lately I’ve been wondering why I no longer keep a consistent journal. I feel like I’ve lost the habit of putting pen to paper and sometimes I just want to write something down to remember it – a passing thought, a good sentence I may need in the future; to recount a fun night out or a good conversation, or to work out a worry. My iPhone notes app has 238 very small entries in it! Everything from grocery lists to rough drafts of articles, recipes, books I want, music I need, song lyrics, blog post drafts, quotes from authors at their readings, interview notes, etc. Most entries would have been expanded and expounded upon in my journal. 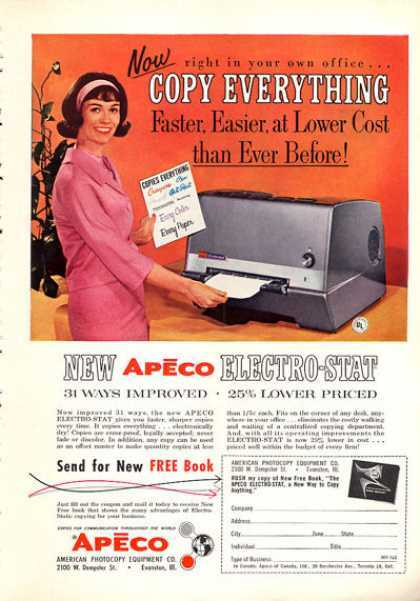 Is technology making me a lazy writer… and thinker? In eight short days I leave Vancouver, where I have lived the last five and a half years, to return to home to Toronto. Well, it’s not so much going back as it is going toward (I thank my wise Uncle John for asking me to differentiate between the two). I’m going toward my future, toward what I have made peace with as the next part of my life, rather than the last half of it, as I had recently been stuck on thinking. I’m sure some people out there can identify with the dilemma of losing both parents, therefore having a viable via genetics end of life date. That thought immobilized me for the better part of last year. But… now that I’m on the move again, it’s time to truly relieve myself of the past. So, I’ve made what I’ve learned is a controversial decision to get rid of a lifetime of journals filled with a good deal of stuff I have moved beyond. After much thought, soul searching, double checking and some stomach churning anxiety, I see no real need to continue lugging The Vault around. Good thing too because movers charge by the pound and a lifetime of paper weighs A LOT! There’s just one tiny problem. It’s impossible to open The Vault without actually reading and noticing what’s in there. Impossible to cut up paper with eyes closed. I have to wonder why I left it til the last week to crack. Day One only released a mere five journals out of about one hundred! 3) I opened up some letters from my much missed dead mother written in 1981, the first time I left home to move West. The letters reveal our lifelong closeness and inability to live apart. What a joy to see her handwriting, evidence of her life; and read the words, evidence of her love; but Oh what heartbreak to be smacked hard again with the reality of her loss. Result – a pool of tears onto an ocean of spilled ink. It’s good to cry though. So they say. I was just trying to save it up for my last walk around the Seawall, behind sunglasses and away from everything, released and lost into the vast Pacific. Try as I might to look at this move as just another day in my life, it’s really so very much more than that. The need to purge – to not lug the life back that I brought here – is large. Next week my pal Steph and I are gonna burn all this paper. Cutting it up is just the dress rehearsal. People have been advising me not to do it, but I crave, and am fully ready, for a life unfettered by the past. From now on, what is in my head and in my heart, and on the legitimate writing page is what will be remembered. Lived, felt, and let go. A few months ago I went to a concert by myself. I do this a lot, go out alone. Sometimes I prefer it. I really didn’t think it was a big deal until I told a couple of people about the concert. Of course the inevitable question was, who’d you go with? The reactions surprised me. Apparently it’s courageous to do something social on your own. Or, maybe it’s even anti-social! I’ve often written about my intermittent loneliness and how I feel that it is something that, although difficult, can be overcome. The key is to learn how to not let it affect big decisions. I’ve let that happen and learned from it – I hope. The biggest one, I believe, was moving back to Toronto from Vancouver before I’d given my life there enough of a chance. I felt indescribably lonely and was susceptible to family and friends saying, just come home. It was a mistake, but one I am trying to make the best of. These days I’m more willing to wait the lonely feeling out. To let it run its course, because I believe it always will. I never felt lonely a day on earth while my mother was alive and because I believe my loneliness is attached to her death, I always think of it as situational. That she’s been gone 12 years doesn’t seem to affect my characterization of the feeling. It comes, it goes. A new book called Lonely by a Canadian writer, Emily White has got me doubting myself and wondering if I’ve caught the bravado bug I sometimes accuse others of having, the ones who are unwilling to admit their loneliness. White bravely tells of her chronic loneliness which she felt most of her life, but intensely so for about 3 years in her mid-30s. Three years! Chronic? Oh dear. I have to admit I read the book with much fear. In fact, in parts my heart was beating so fast I felt sure I was having a full out panic attack. Her early life mirrors my own: feelings of separation, isolation, too much of a gap of age and temperament with siblings, parents at odds with one another, their evident loneliness, a mother who held me a little too close to fill in the spaces for her. Hell, even Emily White’s first boyfriend had the same name as mine. Has my loneliness been with me my whole life? Could feelings of loneliness and isolation be the reason I have so few memories of my young life? I looked up from the book at the prints decorating my bedroom – it’s not the first time I’ve wondered why every single one of them depicts a woman alone. Has loneliness so shaped my life that it’s the reason I am middle-aged, single, with no safety net, a tiny social circle and indistinguishable social life and, worst of all, no kids? Did I somehow make this happen? And collect the art to reflect it back to me each day upon waking? 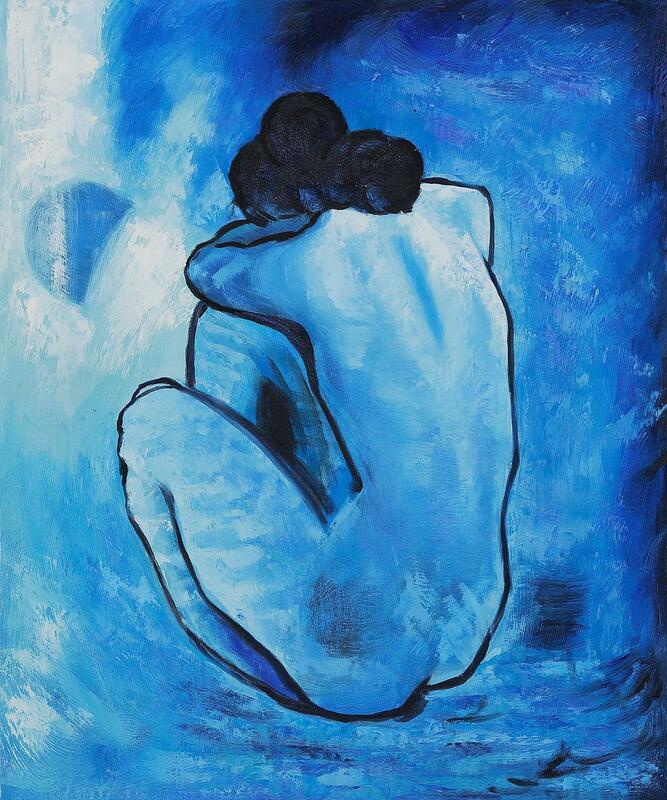 White makes a case for loneliness as an affliction caused by genetics and nurturing. She believes we are wired through DNA to be lonely. And that sometimes our loneliness mirrors that of our parents, in her case mostly her mother. Because she wants it more out in the open, she believes it should be listed in the updated version of the DSM (Diagnostic and Statistical Manual of Mental Disorders), due to come out in 2012. This, she says, would ensure it gets properly funded for research and treatment, the natural progression of this being medication. Now, I haven’t done the exhaustive research she has but I disagree. I think loneliness is a periodic state of being that visits itself upon each and every one of us at various times. Let’s face it, more people live alone now and gone are the days of close knit communities and extended families. The key is learning to understand how it affects you and what to do to work through it. After all, we’re supposed to grow and learn in life. Sometimes my loneliness is acute and it feels like nothing can alleviate it. Since I’m pretty comfortable alone it’s not being alone that triggers it. It’s being alone when I don’t want to be and feeling like I can’t connect with anyone. It’s that feeling that there’s no way to communicate my deepest feelings that makes me the loneliest. Admittedly, the biggest reason is not having a one and only – which isn’t necessarily a love partner, though that would be nice. And I’m trying to find a way to understand how to make that very neglected part of my life work. But, just one or a few good companionable, compatible, supportive friends would do the trick. I have friends like this, but they are mostly busy with their lives of husband/wife, active young family connections. Or they’re too far away to connect with very often. I’m a natural sharer and sometimes feel unbelievably bereft, and afraid for my future with no safeties in place. Also, being alone so much means that my nurturing instincts can go numb with disuse, or worse, get misplaced on someone entirely inappropriate. Something that can catch me unawares if I’m not careful. Emily White thinks this type of dulling of the senses is a result of loneliness. She also offers up plenty of studies, although they are relatively small ones, that show how loneliness affects heart health, and is implicated in dementia. These pieces of information are nothing short of terrifying to me and the surest way to get me to try any outlet at all towards connection. White says lonely people are reluctant to tell their families and friends that they are lonely. It’s true. Most people end up feeling responsible for how you feel and it only serves to turn them further away, not closer. I prefer to just bare down and get myself through it. But I’m also not afraid to say it’s a pretty big part of my life right now. But that really is my challenge, not anyone else’s. I do know how to reach out and I enjoy sociability. I welcome it, when I’m feeling up to it. The truth is, through many years of therapy and 5 years of living away from home, I discovered the original me and that person requires more time and space, which usually means plenty of solitude of the chosen variety. Most lonely people I know -whether they admit to being lonely or whether it’s something I sense – are creative, singular, and as I like to call it, living outside the much touted “normal” lines. I can’t really complain about feel lonely when I bring it on by leaping out of my life every five years, at least. My worry is that I will always do this and never settle down and that my innate (not genetic though) loneliness causes me to do this. Perhaps I will never know. It’s not a worry I really want to take on. I prefer to believe it’s a badge of maturity to learn to live with loneliness. or should I say, live it out. But I certainly have no intention of taking a pill for it. Nor will I stop my solo, apparently oh so courageous, outings to concerts and social gatherings.